Smartphones have come a long way, and business providers are capitalizing on the world’s newest tech to ensure long-term success. In 2016, new device options, mobile web management tools and app options will create new trends, supplementing the modern business provider’s toolkit with powerful options. In recent years, banks have inspired real-time data gathering through transactions. Providers like Wells Fargo, Sun Trust, Bank or America and Wachovia have utilized real-time systems to power financial services, reduce transaction costs and bolster consumer relationships. Up-front and secure financial services are quickly becoming business cornerstones. While previously bank-exclusive options, fund tracking, SMS purchase details, account options and even payment plans are rewiring the buyer’s brain. Check out this article to find out how real-time text reminders are furthering the cycle, pushing financial data gathering to unprecedented levels. Paper-clipped coupons are gone. Now, buyers are swiping their phones to save big. 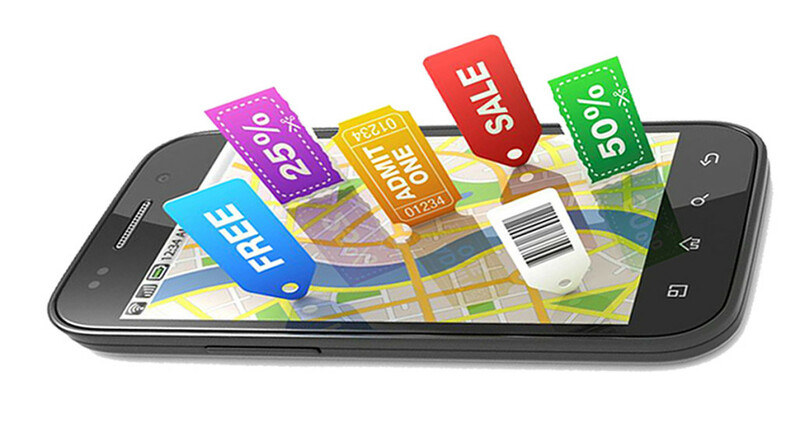 If your brand is serious about personalized service, it needs to offer routine discounts via mobile coupons. In 2015, 50 percent of United States consumers made direct purchases after receiving an SMS-based coupon, QR code or brand amenity. Buyers will always love deals—and they’ll flock to the medium providing deals immediately. American mobile data traffic as grown by an astounding 70 percent since 2014. Of this growth, 55 percent can be attributed to video-based data. Smartphones are becoming preferred media platforms, and companies need to capitalize on the shift. Last November, Facebook gathered eight million video views, daily. 75 percent of these views were engaged through mobile. Smartphones are necessary to execute effective multimedia campaigns, and brands are urged to join the mobile marketing revolution to inspire, direct and communicate with customers. These days, few marketing outreach events compare to the sheer weight of a viral video campaign on YouTube and Facebook. Marketers have always paid attention to e-commerce. Digital selling takes time to perfect. In 2016, e-commerce will benefit from the mobile boom, and it’ll become increasingly social. Instagram’s “Shop Now” option and Pinterest’s “Buyable Pins” are paving the road to social-mobile e-commerce. What can companies do? They can invest in mobile communication. They can work their SMS strategies into real-time social chat. Buyers are making deals linked from Facebook, and they’ll be attracted to companies able to do the same. In the past, consumers avoided social platforms for in-depth purchasing options. Now, they’re leading the charge. The Internet of Things constitutes the biggest reason for mobile marketing. Right now, 5.2 billion smartphone users exist in the world. 60 percent of American Millennials firmly believe smartphones will “achieve everything” within the next five years. The consumer’s path-to-purchase has shortened to mere centimeters, and mobile technology is creating a new, inspiring world of instant access. By the end of 2016, we’ll see mobile-controlled appliances. We’ll also see a massive surge in capabilities from The Internet of Things. People are shopping with mobile, getting directions with mobile and opening hotel rooms with smartphone access. Mobile has become the world’s “mini-Internet,” and The Internet of Things, likely, will define existence as we know it. The mobile revolution is real, and it’s spawning many paradigm shifts. Companies investing in mobile can expect smooth sailing, assuming their strategies are aligned with an ever-growing market. Take advantage of technology today, and work mobile into your strategy. Google Has Implemented It’s Latest Algorithm, But What Has Changed?